When it’s 1987 and you’re 12 and Dracula is trying to take over the world with his army of classic monsters, you save the neighborhood with your band of misfit friends, “The Monster Squad.” This gem is chock full of incredible one liners that could only be used in 1980s kids movies, includes a sweet “Stephen King Rules” t-shirt that I must own, and features the older brother from “The Wonder Years” as the token bully. 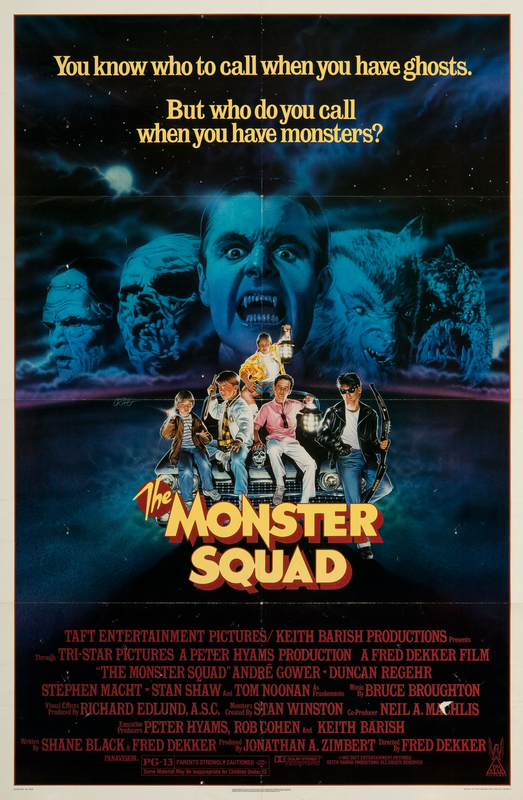 I filed this one in the “must watch” family-friendly horror category and thought I might be cool enough to enter the Monster Squad treehouse myself, but like all good clubs in the 1980s there’s a strict “no little sisters” rule that immediately disqualifies me. 31 Nights of Horror – Year 4!